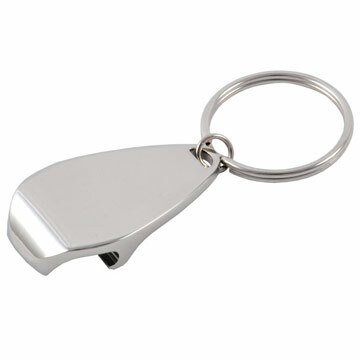 The Metal Pear Keyring is a perfect dual-purpose product, combining both a keyring and a bottle opener. The bright, shiny chrome effect gives this keyring a modern look. It has a good engraving area and is supplied in a black gift box.